The inspiration for this mani came entirely from this cute plate I picked up at Nicole Diary a few months ago - as soon as I saw the cute little Scottie dog faces I knew I had to make use of them! 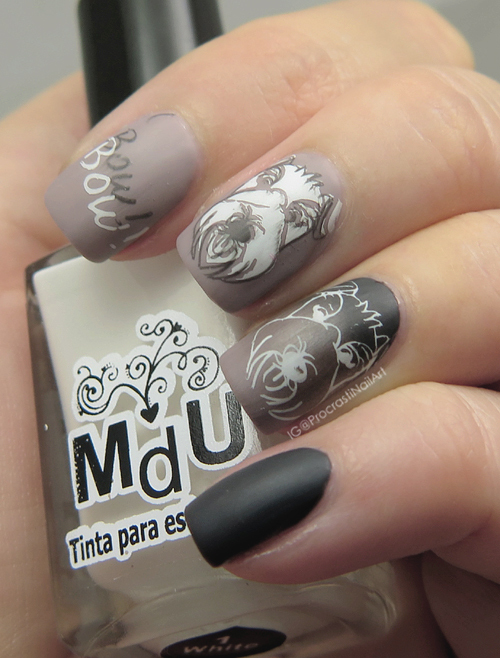 I used three polishes to put this look together... MoYou London Falcon, Sinful Colors Black on Black, and Mundo de Unas White. As mentioned before the plate was Qgirl-059 from Nicole Diary. :) The whole thing is finished with a layer of matte top coat. I tried to line the double stamping on my middle finger up the best I could, and while the black is roughly outlining the white image it's definitely not perfect. More practice is needed, but it's a good start! These Scotties dogs are super cute. Aww how cute are those pups! Ok, I love this! It's even better that you matted it. Hi Katherine,I found your blog because I'm want to become a nail tech but I'm not sure if Taond school is the best option.Did you learn everything that you do in your posts there?I mean the nail art and everything? 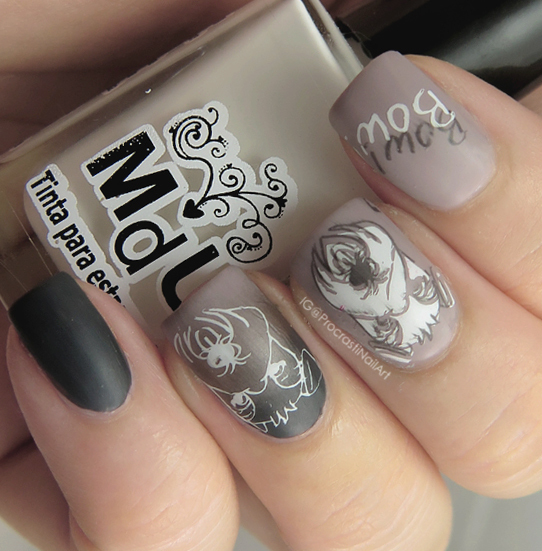 Your stamping skills have me so jealous! 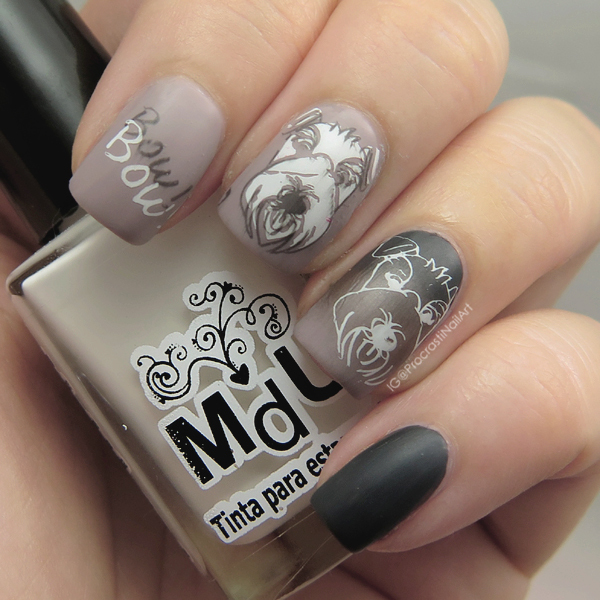 I think you did a phenomenal job on this double stamp mani. Perfect color combo and cute image...can't get any better! Awww the dog face is so cute! OMG....everything about this is just so awesome.